Our ladies and guys stainless steel 6oz hip flasks are designed, printed and hand applied in South Carolina. Flasks are wrapped in high quality long, lasting vinyl and guaranteed to please this holiday season. Perfect for stocking stuffers! 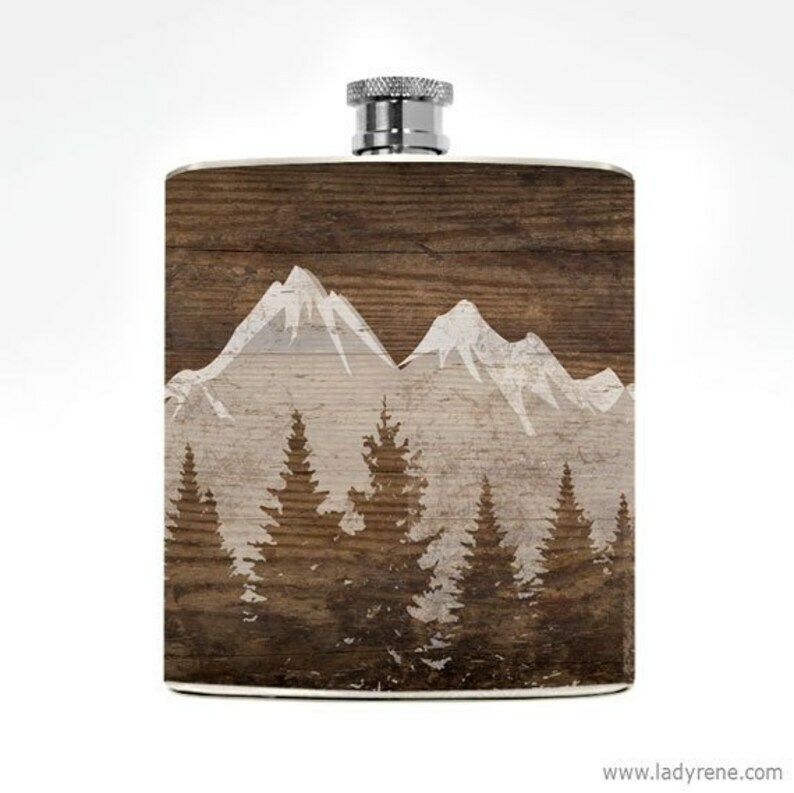 This traveler mountain flask is perfect for carrying the spirit of your choice as you go on whatever new adventure life presents you...even if it's only to the next bar down the street. Sized just right to fit into your pants pocket or purse. So, get on with it already and purchase this uniquely rustic flask for your guys next birthday, groomsmen, ladies night or just for yourself. If yes, please type your request with font and placement of your name, initials or short phrase in the white note box at right. We can place writing most anywhere on the design EXCEPT the backside center. If a font and position for the personalization are not specified by the buyer we will choose the placement for you. Provide current email in case we need to email you a mockup or have questions.